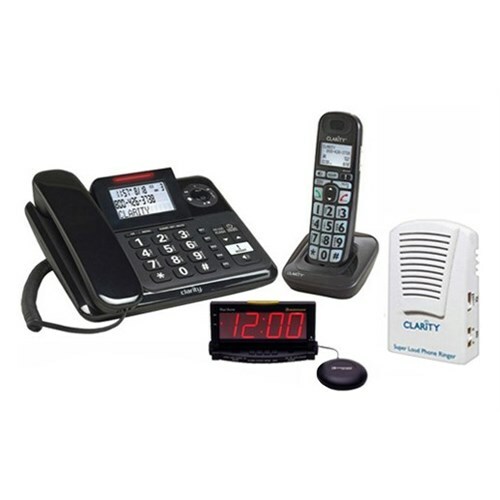 The Clarity E814CC-WAKE-SR100 Corded Caller ID telephone with one additional handset and amplified alarm clock and ringer, features amplified incoming sound up to 40 dB which improves conversation by making words not only louder, but also clearer and easier to understand. With large keypad having high contrast numbers and amplified sound it is ideal for those with a severe hearing loss or low vision. 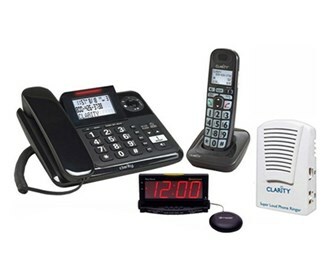 The Clarity E814CC-WAKE-SR100 has many exciting features for users of all types. It's one of FactoryOutletStore's best selling Moderate Hearing Loss Corded Phones 35-45 dB . You can extend the lifetime of your Clarity E814CC-WAKE-SR100 with the purchase of a FactoryOutletStore Factory Protection Plan. 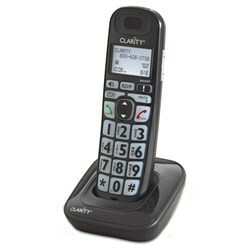 See the Clarity E814CC-WAKE-SR100 gallery images above for more product views. FactoryOutletStore stocks a full line of accessories like Extra Handset and Replacement Battery for the Clarity E814CC-WAKE-SR100. 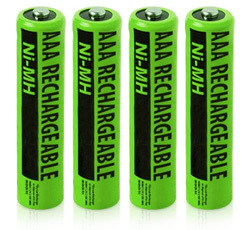 The Clarity E814CC-WAKE-SR100 is sold as a Brand New Unopened Item.